Kate Reddy, also known as Keli Lalita, did her first Surya Namaskars at the Vivekananda Vedanta Vihar, an ashram in the foothills of the Catskills, at age 7. She would ride her bike up a long hill for flute lessons there and became intrigued by the devotees of Sri Rama Krishna. Some of her earliest and fondest childhood memories are of spending time alone in the hallway of the ashram looking at pictures of Krishna, Shiva and Ganesh. She loved to read the Mahabharat comic books, which she received as a gift from a family friend who often traveled to India in the late 1970's. 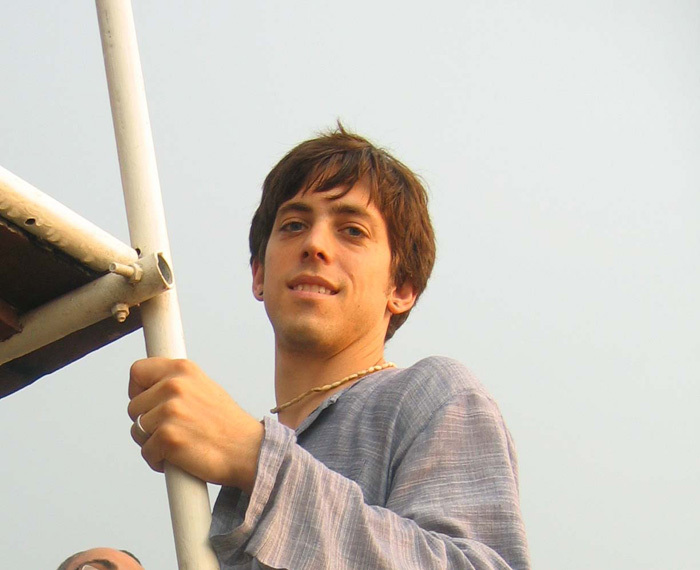 Keli moved into an ashram at age 19 while studying at the New School for Social Research in NYC. It was there that she began her Vedic studies. She traveled to India in 1992 for the first time where she spent three months visiting Holy Places and delving deeply into meditation, chanting and study. She received diksha initiation into the line of Gaudiya Vainavism, and the name Keli Lalita from her Guru, His Holiness Romapada Swami, in 1996. Keli Lalita is the founder of Karuna Shakti Center for Yoga and Meditation. She has lead and assisted retreats both here in the US and most recently in India. She is one of the co-founders of Mantralogy, a record label which is dedicated to bring Sacred Music to the masses. 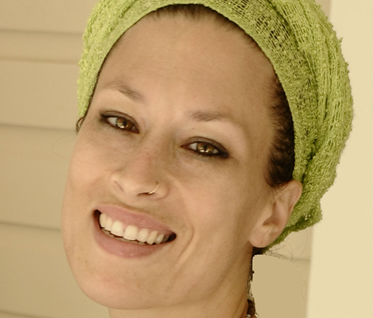 Her yoga teaching is profoundly influenced by Shiva Rea, Srila Prabhupada, Desikachar, Krishnamacharya, Gerhard Schmid,(our modern thread to the Ancient Martial Art of Kalari), and all of the modern Kirtan players who have so graced this earth with their presence: Jai Uttal, Steve Gorn, John de Kadt and last but certainly not least Gaura Vani and crew. Her teaching is also deeply inspired by her practice of Bhakti yoga, by the poetry of Hafiz and Mirabai and Bhaktivinode Thakur and by her belief all beings are Divine that remembering this one fact is the goal of human life! Jai Sri Radhey Shyam! She lives in Stuyvesant Falls with her husband, and three children. Gaurapriya has practiced both Bhakti and Hatha yoga for 20 years. After the birth of her second child; Gaurapriya began her teacher training with Shiva Rea, and has completed over 200 hours of Prana Vinyasa Flow. 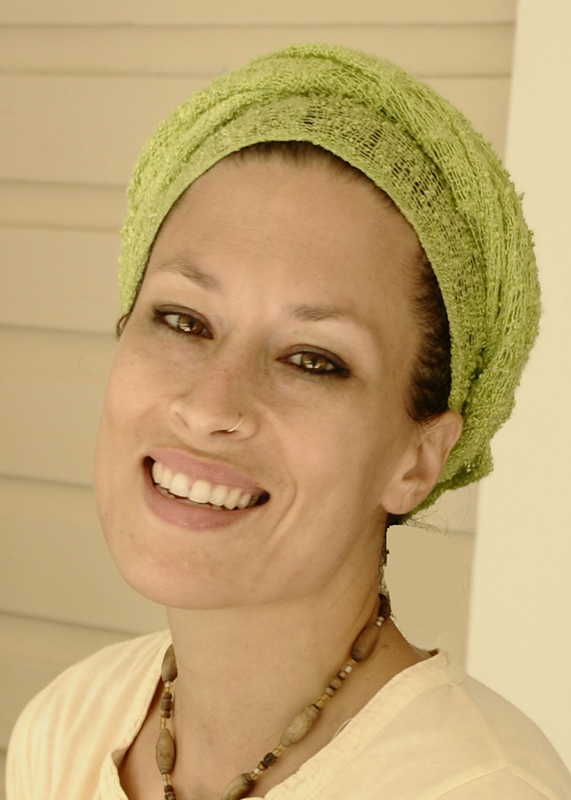 Her training in thai yoga massage, ayurvedic marma bodywork, breath work and as a transpersonal hypnotherapist creates a unique group or private class experience. Gaurapriya's vinyasa yoga classes include cooling lunar and heating solar flows, as well as beginners series and yoga for children. TJ earned his 200-hour Yoga Teacher's Certification from the Kripalu Center for Yoga and Health, and his 500-hour Yoga Teachers Certification from Sri Dharma Mittra at the Dharma Yoga Center in NYC. 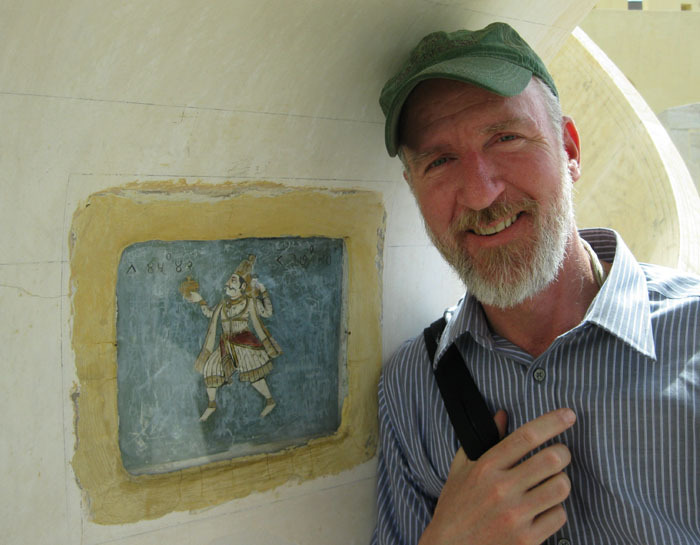 He has a deep interest in Bhakti Yoga (the Yoga of devotion), and he and his wife Melinda have journeyed to India where they studied yoga and visited many holy places. TJ's classes cultivate concentration and a meditative mood in the classical style of Hatha Yoga as taught by Sri Dharma Mittra. He has dedicated himself to share with others the wisdom and knowledge he has received from his teachers. 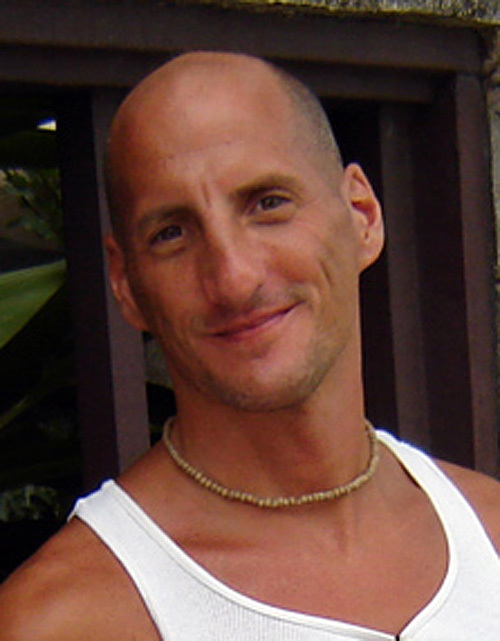 TJ leads Dharma Yoga: Shiva Namaskar Vinyasa Tuesdays 6:30 - 8:00 pm. 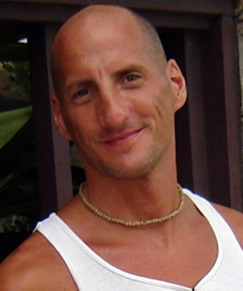 Bob is earning his 200-hour Yoga Teacher's Certification from the Kripalu Center for Yoga and Health. He has studied yoga with Kate Reddy (Keli Lalita) for the past four and a half years, and attended Vinyasa teacher training with her teacher, Shiva Rea. His meditation practice is guided by his guru Paramahansa Yogananda. 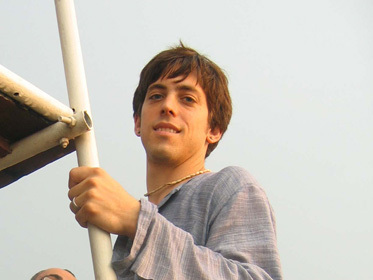 Bob became his student in the summer of 2008, and received his spiritual baptism or "diksha" and became his disciple in October of 2009. Bob practices Raja Yoga, which is the traditional yoga described by Patanjali in the "Yoga Sutras". This is a seated meditation practice, which uses breathing exercises (pranayama) as a path to deep meditative states and superconsciousness. 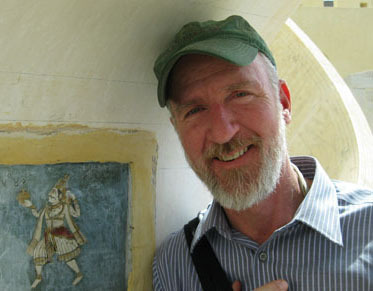 Bob leads Raja Meditation on Sunday's from 9:30 - 11:00am. For more information please contact goodhopefarms@hotmail.com. Paramananda has been traversing the yogic path for over 15 years now, incorporating yoga, meditation, ayurveda and bhakti into his daily life. He completed his 200 hour teacher training at Sadhana Yoga with Sondra Loring and Raghunath and has been enthusiastic to share it with others ever since. Teaching a vigorous vinyasa style class, he adds chanting, meditation, breathing exercises and yogic wisdom to give a well-rounded class steeped in what he calls "the culture of yoga." "In my studies in various ashrams throughout India, I've come to learn that besides being a great workout, yoga really is a holistic lifestyle that brings together the material and the spiritual. I'm interested in teaching people what they can achieve off the mat as well as on."